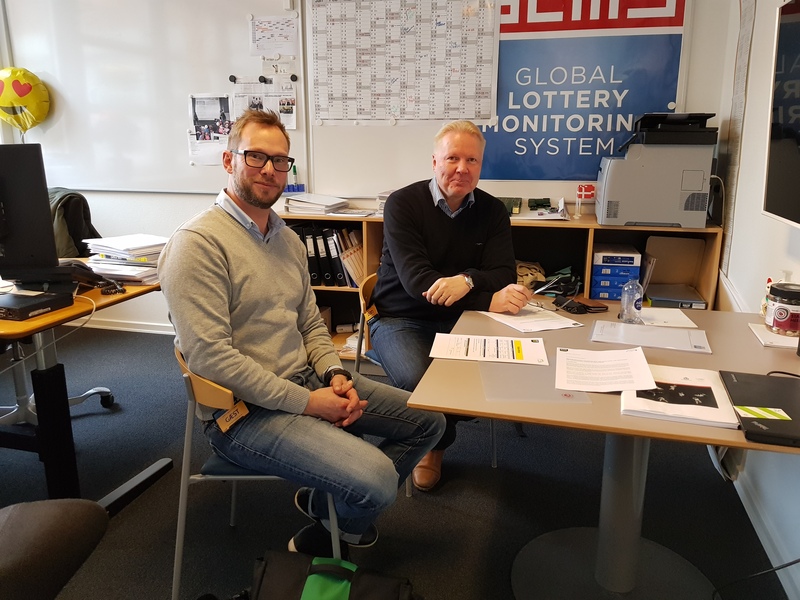 On Friday, 10 November, GLMS Operations Manager, Kim Ragle, had the chance to welcome to the GLMS Operations Headquarters in Denmark representatives from the Finnish and Danish national platforms.Jouko Ikonen from the Finnish Center of Integrity of Sports (FINCIS) visited the GLMS Operational Headquarters in Denmark, as a follow-up to the meeting between GLMS-Europol and the Finnish national Platform in September 2017. Kim and Jouko had the opportunity to go through some matches mainly of the 2nd division which had caused concerns. Kim explained the GLMS analysis and conclusions and Jouko will be further investigating a certain number of these matches with the Finnish police.Martin Rostgaard of Anti-Doping Denmark (ADD), the coordinating body of the Danish national platform (as per article 13 of the Macolin Convention) also joined the meeting. Martin and Kim had the chance to discuss in depth certain matches that both the Danish national platform and the GLMS investigate.Finally, all participants took the chance to exchange on the different models of national platform in Europe, the Group of Copenhagen (the network of national platforms, coordinated by the Council of Europe) and how the GLMS could support the Group of Copenhagen operationally in the future.